When we finally got to the PCGS Invitational we felt no buzz like we have for so many shows. A few big players canceled at the very last second. While we love the smaller PCGS Shows, by all standards this one was a bust for us. Even our stealth seller was disappointed (we tried forever to get him to admit he had a poor show). Our strong belief is the new regime at PCGS has done what they promised to do: cause severe pain for the coin docs and crack-out group. So attendance by the bigger dealers was weak. The dealers who were there really had nothing positive to say about how their grades did. It’s not that PCGS was tightening up, it’s that PCGS is finally proving it is grading to the right standards. So all these dealers who had steady cash flows from doctoring and cracking out are suddenly broke. 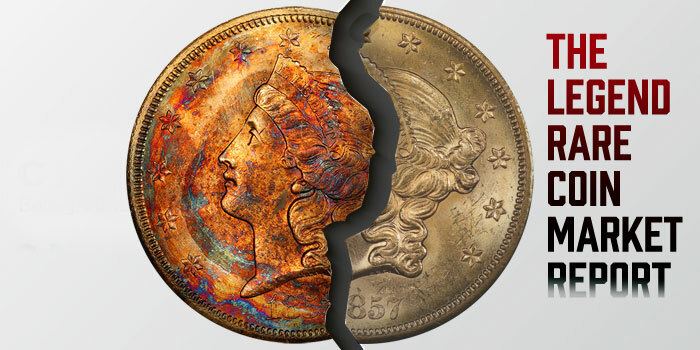 Legend Numismatics has always been against coin doctoring and never liked the dealers who did nothing but crack outs – it did zero to help collectors. Now that the belt is being clearly tightened, it is affecting everyone negatively–including us. But if this is what it takes to clean things up, then we’ll adjust and deal with it. Our biggest concern is the show could shrink radically. The bigger dealers used to bully PCGS and withhold submissions until PCGS begged for the income. Hopefully, that will not happen anymore. The real test for PCGS is to see if they don’t bend and get loose for even one show to gain that lost revenue. Hopefully, PCGS has made it up in other ways. 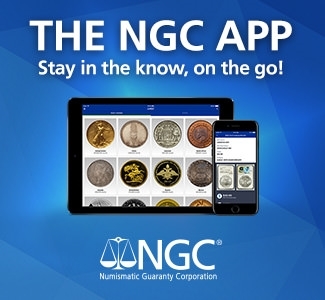 Legend Numismatics fully supports PCGS and its product. We strongly believe if they can do this for a year or two, then there will be substantial renewed consumer confidence and serious pops in pricing (price guides are a whole other story). All this helps the collector. Less dreck means more value in what is produced. Collectors won’t have to wait 15+ years to recoup or make money. We strongly believe this shakeout will last two to five years. Yes, there will be pain, but be grateful that PCGS is finally on the case and is not turning a blind eye. Our biggest concern is reduced dealer attendance at shows. We talked to a top official at PCGS and he said he doubts that will happen. All we know is that we were offered NO newly made coins. However, towards the end of the show, we were able to make offers on some really nice but stupidly priced coins. We bought them all at our numbers. Still, at a show like this, we would normally spend $250 – $500,000; this time, we spent a whopping $45,000. And to make matters worse, we will not bid against our customers in our auctions unless the gavel is ready to close and we see a coin is too cheap. In this monster sale, we’d have easily spent $1,000,000 if it had been done by anyone else. Ugh! All seems quiet on the gold front. Now is the time to buy PCGS CAC gold. When the levels soften a touch (like they have), you need to stock up on gold – even generics MS64 or better. When the outside demand comes back, these coins can pop as much as 20% in one or two weeks and you’re better off being in a profitable sell position. The only problem is that there aren’t enough PCGS CAC coins available. We are always in the market for ALL better gold. We remember when we had our choice of MS65 High Reliefs and actually thought they might be too pricey. Today we’ll buy all we can get at the current PCGS CAC bid. We want to spend endless amounts on gold right now! Contact George Huang if you have better gold PCGS CAC only to sell. We will not buy NGC CAC pieces sight unseen. $1 1885 PCGS MS66+ DMPL CAC – almost reminds you of a Proof! $2.5 1901 PCGS PR67+ DC CAC – wowzer x 10! $10 1799 PCGS MS63+ CAC – amazing “original skin”! All other coins are pretty cool and are not common at all. We handpicked them seeking the best quality and eye appeal for the grade. Do not forget our regular inventory. We have many great coins that deserve great homes. You know we will work hard to get you into the coin of your dreams! And yes, we are still here to build the world’s greatest collections! KABOOM! We’d sincerely like to thank all the participants of our record-shattering Regency 31 auction. This sale we just sat and watched with our jaws wide open for most of the time. The quality of the coins clearly drew many people to participate. A week before the sale, all viewing categories were at all-time record numbers. Even the big boys would be impressed. The number of new bidders and registrants also hit an all-time high at this auction. Most importantly, 90% of all sales in the auction were either to dealers representing collectors or direct to collectors. We doubt any other firm can claim that. Lot 8: 1C 1794 S-32, Head of 1794. PCGS MS66 BN, realized $152,750. Lot 36: 1C 1911 PCGS MS66 BN Gold CAC, realized $3,290 after a short bidding war between online bidders. Lot 91: 5C 1916 PCGS PR68, from the Grand Prix Collection, realized $30,550. Lot 113: 5C 1945-P Doubled Die Reverse. PCGS MS66 FS realized $11,750. Lot 148: 10C 1923 PCGS MS68+ FB CAC, realized $47,000, a world record for the date, and well above the $18,000 estimate. Lot 159: 10C 1940 PCGS MS68+ FB CAC, realized $35,250, against an estimate of $8,000—another record shattered. Lot 186: 50C 1794 PCGS AU53 CAC, realized $129,500. Lot 217: 50C 1919 PCGS MS65, from the Grand Prix Collection, realized $31,725. Lot 264: 25C 1909 PCGS PR68+ CAC, from the Young-Dakota Collection, realized $29,375, well above the $18,000 estimate. Lot 270: $1 1893-CC Branch Mint Proof. PCGS PR65+ CAC, from the Young-Dakota Collection, realized $305,500. Lot 273: Original, matched Gem 1859 Proof Set, from the Young-Dakota Collection, realized $70,500. Lot 283: 5C 1910 PCGS PR67+ DCAM CAC, from the Intense Cameo Collection, realized $27,025. Lot 284: 20C 1875 PCGS PR66 CAM CAC, from the Intense Cameo Collection, realized $34,075. Lot 297: T$1 1882 Trade. PCGS PR66+ DCAM, from the Intense Cameo Collection, realized $44,650 on a $25,000 estimate. Lot 303: $1 1801 PCGS MS63 CAC, realized $96,938. Lot 350: $1 1891-O PCGS MS66, the single finest of the date, realized $108,688, a record price. Lot 372: $1 1927-D PCGS MS66+ CAC, realized a record $176,250—over $100,000 above the estimate! There were four bidders over $100,000. Lot 392: $2.50 1847-O PCGS MS64 CAC, realized $38,775. Lot 422: $10 1795 13 Leaves. PCGS MS64+ CAC, realized $822,500, a record for the grade. Lot 476: 25C 1893 Isabella. PCGS MS67+ CAC, realized $16,450. Lot 484: 50C 1920 Maine. PCGS MS67+ CAC, realized $9,106. These are only a few of the many record prices set. We can confirm bidding was highly aggressive on all of the better coins. It proves to us that the market is starved for true quality and better coins versus widgets. 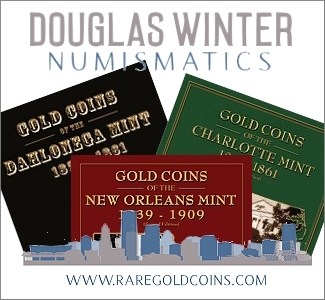 Now it’s on to our May Sale, which is at the PCGS Invitational in New Orleans. This sale is already shaping up as yet another blockbuster. Besides the PUG Collection of Early Bust Quarters (all PCGS CAC, assembled exclusively by Legend Numismatics), we can now announce the Issaquah Estate, comprised of serious quality handpicked Mint State 63-64 No Motto Seated Dollars. Also, there is a crazy great set of MS65-67 Peace Dollars. This set contains a white ULTRA-HIGH-END 1925S PCGS MS65 CAC. Yeah… WOW! All of these coins have been off the market for many years. They are still in the older tags (we elected not to re-grade them). This collection was formed by a lifelong collector who passed away last year. Other important properties are in-house and will be announced next week. Legend Rare Coin Auctions is staying true to its roots. We strive to have the best quality auctions possible. We’re not trying to be one of the big boys. We want buying from our sales to be as safe and enjoyable as possible. If you have any questions, please contact Julie Abrams (julie@legendcoin.com), Jessica Berkman (jessica@legendauctions.com), or Greg Cohen (greg@legendauctions.com). IF YOU HAVE ANY QUESTIONS OR WISH TO ORDER, YOU MAY ALSO EMAIL US AT legend@legendcoin.com. WE DO NOT CHECK OUR MESSAGES UNTIL MONDAY 9 AM. For more information, please visit www.legendauctions.com. 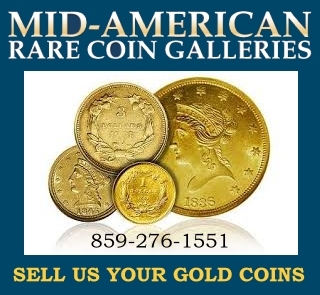 Legend Rare Coin Auctions (LRCA), based in Lincroft, NJ, is a boutique-style rare coin auction firm.